In this municipality the Irache Monastery is located, one of the most outstanding monuments in Navarra, the result of a medley of medieval, renaissance and baroque architecture. This is purely a sign that it has thrived over the years, partly because of its proximity to the Camino of Santiago. There is evidence of its existence since 958. 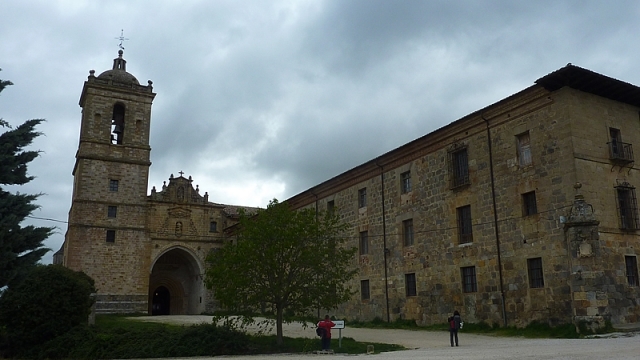 In the first half of the XI century a hospital was built for pilgrims, probably the oldest in Navarra. Subsequently it became a branch for the university and the war hospital. Since 1887 it became a national monument. It is possible to visit the Romanesque church (XII century) and the plateresque cloister. It is likely to become a Parador for tourism (high class hotel). In the area, and on the Jacobean path, there is also one of the most entertaining fountains on the French Way, namely the Wine fountain of the Irache Cellars. Under a carving of Santiago there are two taps, from one tap water flows and from the other wine. Do not miss the chance to greet your loved ones. The council of Ayegui has experienced strong urban growth in recent years, to the point that it has become a sort of extension to Estella. Ayegui combines tradition (Irache Monastery) and modernity (residential area). The Montejurra, to the south, dominates the area. Restaurants, bars, ATMs, chemists, bakeries, etc ... serve the local residents so they do not have to travel to Estella. Pilgrims also take advantage of these services. If you are traveling on the Camino de Santiago or are planning to do so soon, you should know that the distance separating Ayegui from Santiago de Compostela is 660 kilometers.